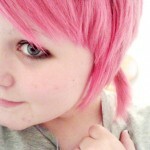 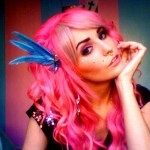 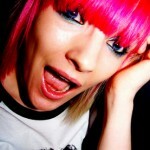 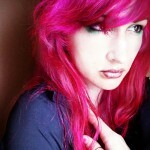 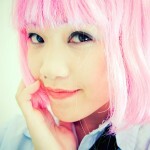 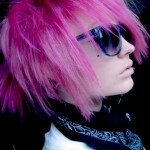 Pink hair is fun and wild, you can use it to showcase your personality, it is outrageous, cute and loud. 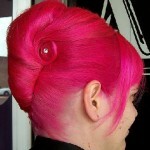 Pink hair creates an impact when you walk into a room. 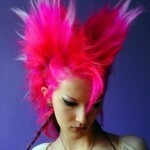 Pink hair makes a statement about you! 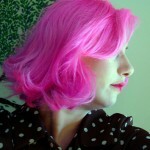 There is so much you can do with this color, you can go for block color making your hair completely bright, neon pink, you can be more subtle choosing a more pastel lighter pink color, you can have streaks in pink among another hair color or just dye the tips, the possibilities are endless. 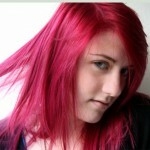 This is a great color to be creative with as the results are quite easy to obtain and it is very easy to apply pink hair color in your own home. 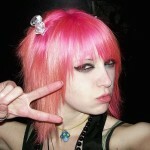 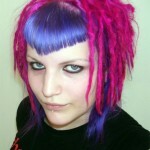 Bleaching your hair is a necessary process to achieve a vibrant pink result. When you use bleach your hair becomes more porous (and unfortunately it receives damage) and it soaks up the color better. 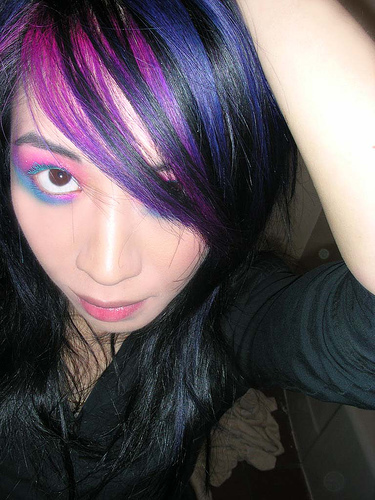 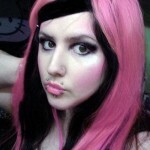 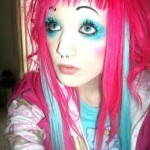 If you try putting in pink hair dyes on black hair you will be largely unsuccessful. 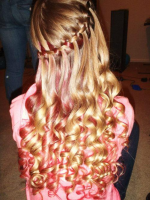 You can apply it on natural brown or blonde hair but the results will be duller and fade away quicker. 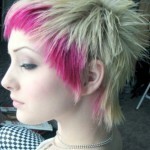 The good news is that you don’t have to bleach your hair to a platinum blonde (although the blonder/lighter the hair, the more vibrant the pink will turn out). 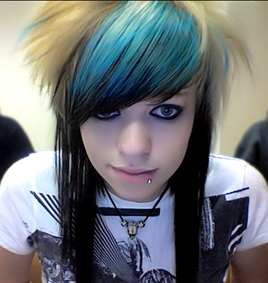 You can usually bring the hair down to an orange and just dye over that. 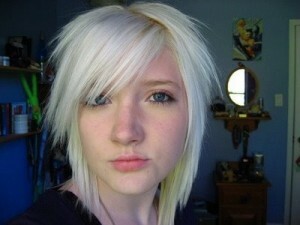 Here is a guide on how to bleach your hair. 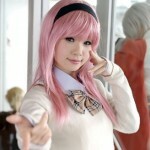 Choosing the right pink hair color and brand is largely a personal choice, Pink hair color varies from person to person depending on many factors such as base hair color, how long you leave the dye in the hair, the condition the hair is in before dying etc. 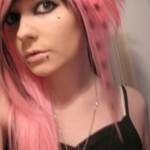 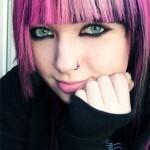 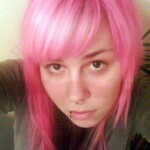 See more pink hair color pictures! 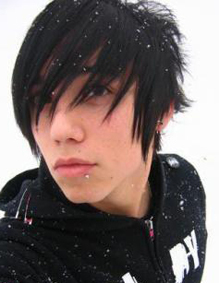 Cute Emo Boys That Are Too Cool 4 Skool! 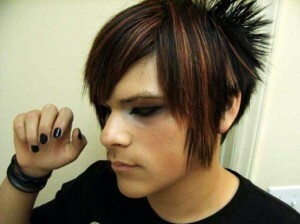 The emo trend is bigger than ever, especially for the teenagers out there. 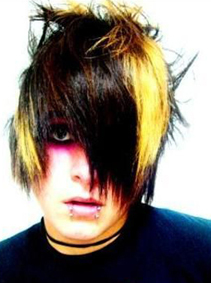 The teen population is divided into those that love the emo look and everything the subculture encompasses, those who loath it and those that could not give a diddly squat about it. 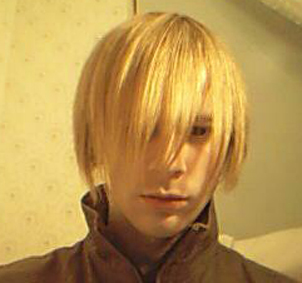 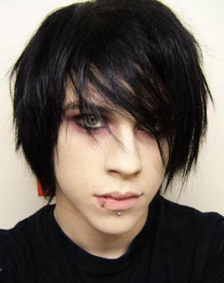 This post is for those of you out there who love emo hairstyles on boys or for boys out there looking to get an emo haircut, prepare to be inspired! 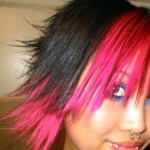 Here you can see the spiking in the back of the head. 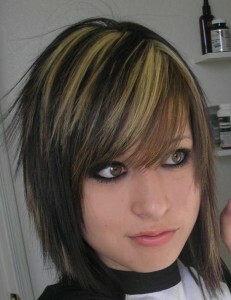 The copper streaks look amazing mixed in with the black hair. Cute emo boy with side fringe. 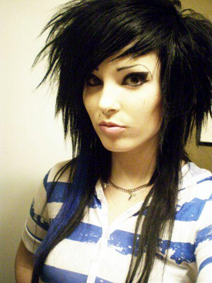 Emo girls and Scene girls, no matter what label you give these beautiful creatures one thing stands true: They have some of the coolest, edgiest hairstyles of today. Emo girls like emo boys; use emo hairstyles amongst other things to help express their individuality, creativity and feelings. 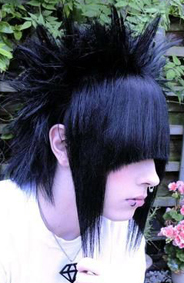 Emo Hairstyles do take a lot of time to maintain. 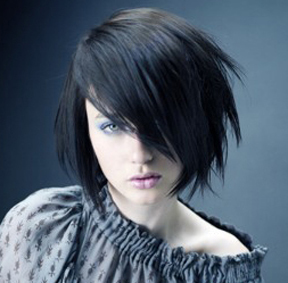 You will probably have to see your stylist every 2 to 3 months to get your haircut maintained, alternatively you can just let it grow out but it won’t be the same look you were going for originally considering that the side fringe pretty much needs to be about 3 to 4 inches long for the right effect. 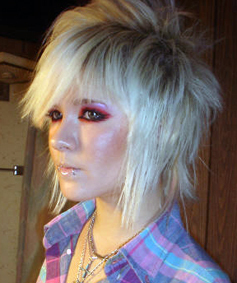 Delicate dark pink and blonde streaks underneath give the hairstyle more character and is easier to maintain as the roots will not be seen as the hair grows out.